With support for drag and drop and virtually no settings, Securely File Shredder is one of the more easy to use file shredder programs available. Securely File Shredder installs really fast and supports deleting both multiple files and folders. This review is of Securely File Shredder version 2.0. Please let me know if there's a newer version I need to review. Securely File Shredder lets you drag and drop one or more files and folders directly onto the program window, as well as open specific data using the Delete Folder and Delete File buttons. These options are located in the Deletion methods section of the settings. Using any of these methods should render file recovery software useless in restoring your files. The Paranoid method is unique to Securely File Shredder and may provide even more passes than the Gutmann method. However, this is not an industry standard sanitization method. Aside from changing the wipe method, the only other settings and options in Securely File Shredder are to run the program when Windows starts, to delete the contents of the Recycle Bin, and to show the program in the notification area when it closes. 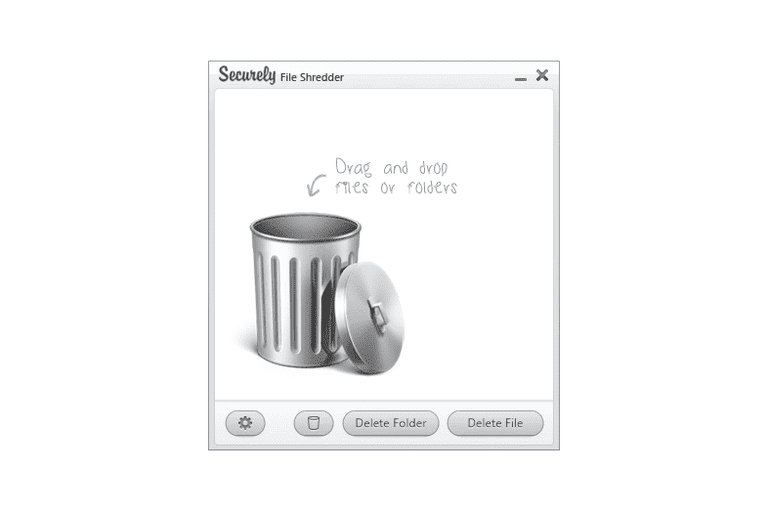 I like Securely File Shredder, mainly because it supports drag and drop, which is my preferred method of moving files and folders around in Windows. I also appreciate the fact that the program has very little settings, all of which are easy to comprehend. This means even novice Windows users can use Securely File Shredder without much difficulty. I'm also glad you can use Securely File Shredder to securely empty the Recycle Bin. It's as easy as clicking one button and confirming it, just like with adding other files and folders to the program. Some file shredders let you disable confirmation prompts to erase files even faster, but Securely File Shredder doesn't allow this. Admittedly, though, this may be a good thing for the majority of people so they don't accidentally delete important files. As I mentioned above, Securely File Shredder has no cancel button to stop files from deleting. While you can simply exit the program to stop it abruptly, I think it'd be nice to have the cancel option clearly shown, just in case you start accidentally erasing something!